Not many aspects of web design and online marketing have the ability to divide opinion like pop-ups. However, while there isn’t much love for them, the fact is everyone is using them and pop-ups can produce impressive results when used correctly. Although you might associate pop-ups with email opt-in forms, there are other practical uses for them. Our PopUp Pro plugin can help you attract new customers with special promotions, and convert one-off visitors into loyal followers and customers. Pop-ups can be an effective way to display not only email opt-in forms, but also social media buttons, links to your best content, special offers at your e-Commerce store, and adverts. By using this feature carefully, you should be able to walk the fine line between annoying your visitors, and increasing your goal conversion rates. The free and premium pop-up plugins included below include tools for: displaying email opt-in forms to help you grow your newsletter subscriber list, plugins that display social sharing buttons, and those which can display any custom content of your choice. With some of these pop-up plugins, you will find additional form types, such as in-content, header and footer, and sidebar widgets. Other features that vary between plugins include the number of pop-ups you can create, how they are triggered, and the settings for controlling where on your site they are shown. Some of the premium options also include split testing tools to help you optimize your pop-up designs and settings for the highest conversion rates. Where there are multiple plugins available that serve the exact same purpose, I’ve tried to only include the best option. Let’s start with the free options. Scroll on to find the premium options with more advanced features. ITRO Popup Plugin is a basic, free option that allows you to create one pop-up window for your website. Thanks to the use of the WordPress editor, this window can contain any custom content you need to get your message across. Through the pop-up settings, you can define the pages on your website where the window will be displayed. Selecting individual pages to activate the pop-up on is as easy as selecting them from a list. Alternatively, you can simply enable the pop-up for your entire site. To make your pop-ups a little more user friendly, you can configure them to automatically close after a set number of seconds. You can also prevent them from being displayed to the same visitors again, for a certain number of days. Other controls for your pop-up window include setting the width and background image or color. One interesting feature of the ITRO Popup Plugin is that you can use the window to display an age verification button, which prompts users to confirm whether they are over a certain age or not. If you want a free and simple way to quickly add a single pop-up window to your website, that can contain custom content, then the ITRO Popup Plugin is well worth considering. Interested in ITRO Popup Plugin? The free Social PopUP plugin gives you an easy way to harness the power of pop-ups, in order to grow your social media following. Through the pop-up window settings, you can enter the address of your Facebook, Twitter, and Google Plus profiles. For each of the networks you enter a URL for, a follow button will then be displayed to your visitors in the pop-up window. Your visitors can then follow, like, or +1 your profile, by clicking on one of the buttons. The Social PopUP plugin is a pretty flexible tool. Through the settings you can decide whether to include a close button on the window, how often the window should be displayed, whether the window should close automatically after a certain period, and also make use of the optional custom thank you message that is displayed when someone clicks on a link. When it comes to customizing the appearance of the social pop-up window, you have to edit the CSS manually to make any changes to its presentation. Although, the plugin settings page does give you an interface through which you can make those changes, rather than having to open the files directly. The same applies to the editing the contents of the windows. If you want to add some custom content, you must edit the template file; but again, the settings page gives you an easy way to access that code. Furthermore, Social PopUP includes some useful controls for defining where on your site the window is displayed. This includes selecting only posts, pages, or both, as well as enabling or disabling it on the specific URLs of your site. Social PopUP is an easy to use social media promotion tool that can be up and running on your site in no time at all. Another option for increasing your social media following is the free Facebook Page Promoter Lightbox plugin. Instead of simply displaying a like button, as is the case with the Social PopUP plugin, this option displays the details of your Facebook page in the lightbox pop-up window. This then gives your visitors an opportunity to quickly like that Facebook page, before viewing the rest of your website. Through the settings you can choose whether to enable the pop-up on your posts, pages, home page, and archives. However, there is no option to enable or disable it on specific pages. You can also set how often to display the lightbox to the same user, simply by entering the number of days to wait before it is shown again. After testing many of the Facebook like box pop-up plugins for WordPress, Facebook Page Promoter Lightbox seemed to be the best free option in terms of appearance, features, and settings. While it’s a pretty basic plugin, if you are looking for a way to increase the exposure of your Facebook page, this option does a good job. Interested in Facebook Page Promoter Lightbox? WP Social Popup and Get Traffic is another free plugin that uses pop-ups to help you grow your social media following and increase the exposure of your site on the top social networks. While there are other plugins that will display social media buttons in a pop-up, this one differs in that it makes it possible to rotate multiple social profiles, throughout the days of the week. For example, on Monday you could promote your personal Facebook and Twitter accounts, while on Tuesday you could promote the accounts of your website. A different URL for Facebook, Twitter, and Google Plus can be entered for each day of the week, making this plugin a good choice for those with lots of different accounts to promote. The settings of the plugin make it easy to decide on which of your site content your pop-ups should be displayed, whether they should auto-close, and if they should be enabled for smartphone and tablet users or not. If you do need to promote multiple social media accounts, then this plugin allows you to do so, depending on the day of the week. Interested in WP Social Popup and Get Traffic? The Yeloni Exit Popup plugin makes it easy to create a pop-up lightbox for your website, which is trigged when a user is about to leave your site. While you can only create one pop-up window for your website with the free version of this plugin, you can choose from a range of pop-up types. This includes a banner image option, a pop-up with social sharing buttons, and an email subscription form. The free version of this plugin does display a ‘powered by’ link on the pop-up window. This can only be removed by upgrading to the premium version, so bear that in mind when considering this option. Upgrading does allow you to create a custom content pop-up window, as well as gain more control over where the pop-up is displayed on your site. Making use of the exit intent trigger is one of the best ways to ensure your pop-up windows don’t stand in the way of your visitors enjoying your content. If you’d like to try this feature for free, then the Yeloni Exit Popup plugin is one of the few options that is available to you. Interested in Yeloni Exit Popup? The free Sticky Popup plugin gives you the ability to display a pop-up window with custom content, in one of the four corners of your website. The plugin uses a CSS3 animation effect to grab the attention of your visitors. Then, when they click on the pop-up window tab, its full contents are displayed. As you can add any of the same content to the window that you would to a WordPress post or page, you are free to include text, links, and images in the window. The pop-up also supports the use of shortcodes. This means you can add subscription or contact forms to your pop-up window with ease. The settings for the Sticky Popup window are a little on the basic side. However, if you want a simple way to display custom content in a pop-up window, which is placed in the corner, or side of your website, rather than in the middle, then Sticky Popup does the job. Popup Maker is a free pop-up builder plugin for WordPress, which can be upgraded by purchasing premium extensions. With the free version of this plugin installed on your WordPress website, you can create multiple pop-up windows. The different pop-ups you can create, can have their own custom content and settings. Through the settings of the individual pop-ups, you can define where each of them will be displayed on your website. This includes broad settings such as on all posts, as well as more specific settings, such as on individual posts. As you create your pop-ups, you get access to some pretty detailed settings that govern their appearance, and how they will be displayed. You can also choose from five animation effects to ensure your pop-ups really capture the attention of your visitors. Another useful features of Popup Maker, is that it gives you the option of having your pop-ups displayed when the user clicks on an item with a particular CSS ID or class. Adding the custom content to your pop-ups takes place through the WordPress visual and text editors. This gives you lots of control over how that content will look. Some of the premium extensions for the plugin give you access to themes for styling the appearance of your pop-ups, additional activation triggers, pop-up analytics, and age verification modals. Thanks to the ability to create multiple pop-ups and choose exactly where on your site they are displayed, Popup Maker is a good choice for those who want to promote specific offers, on specific posts and pages. Jazz Popups is a free plugin that gives you the ability you to create a single pop-up message for your WordPress website. The pop-up window builder is very easy to use and allows you to create a pop-up that contains text, image, or video content. Alternatively, you can create a custom pop-up that contains a combination of these different media types. One nice feature of Jazz Popups is that if you want to display a YouTube video in a pop-up window, it’s as easy as copying and pasting the video embed code into the pop-up builder. The plugin settings make it easy to define where on your site the pop-up window will be displayed. You can also choose from six animation effects, opt to automatically close the window after a set number of seconds have elapsed, and decide how your visitors can close the window. If you want a quick and easy way to display custom content in a pop-up window, including YouTube videos, then Jazz Popups is a good choice. The free Easy Popup Announcement plugin lets you create multiple pop-ups, each with their own custom content. This custom content is added through the WordPress post editor, giving you plenty of flexibility. The pop-ups can be set to display globally throughout your site, and if you have created multiple pop-ups, they can be selected for display at random. Each pop-up you create also gets its own shortcode. This then allows you to insert that shortcode into a post or page. After doing so, the corresponding pop-up will only be displayed when that page loads. If you want to create multiple pop-ups, each with custom content tailored for a specific post or page on your blog, Easy Popup Announcement has the features you need to do so. Interested in Easy Popup Announcement? If you want to display a full screen overlay pop-up message to new arrivals at your website, then the free Welcome! plugin gives you the ability to do so. After installation, new visitors to your website will now be greeted with a full screen message of your choice. The overlay message then slowly fades away after a set period of time. The settings of the plugin make it easy to ensure return visitors aren’t shown the welcome message again, unless you want them to. This is a very basic plugin. However, it gets the job done and can be up and running on your site in a matter of minutes. WPFront Notification Bar is a free plugin, which as the name suggests, adds a notification bar to the top or bottom of your website. While this isn’t strictly a pop-up tool, the notification bar has a similar effect, in that it allows you to display a custom message to your visitors. Through the plugin settings, you can choose the position and size of the notification bar, decide whether to make the bar sticky or not, define when the bar should be displayed, and whether it should automatically close or not. When creating the custom message for the notification bar, you can enter plain text or HTML. This helps make it a flexible tool for displaying a personalized notification message to your website visitors. You also have the option of adding a button to your notification bar, which when clicked will take the user to a location of your choice. Furthermore, when configuring the WPFront Notification Bar plugin, you can enter a start and end date, during which period the bar is displayed. You can also select which individual posts and pages the bar will be active on, and which user roles can see it. Customizing the appearance of the bar is easy too, thanks to the visual color controls, and the opportunity to add your own custom CSS. If you want to add a single header or footer notification bar to your website, which can be fully customized, WPFront Notification Bar comes highly recommended. Alligator Popup is a simple but effective plugin that will be of interest to anyone who wants to open a link in a browser pop-up window. Unlike the other options in this collection, the pop-up isn’t a lightbox modal overlay, but an actual new browser window. If that sounds like something you could make use of, creating the link is simply a case of adding the shortcode to your content. The URL that you specify will then be opened in in a new browser window, which is displayed with a size of your choice. There is an alternative version of this plugin from the same developer, which gives you the ability to open these pop-ups from the WordPress navigation menu links. Icegram is free pop-up plugin that can be enhanced by installing the free and low-cost premium add-ons available for it. One pop-up type that is available with Icegram, and not often found elsewhere, is its messenger option. This option mimics an instant messenger window to help draw your visitor’s attention to it. The messenger pop-up can be configured to display a custom message, as well as an optional opt-in form. The other types of pop-up available with Icegram include a regular lightbox window, a toast pop-up, and a horizontal bar, which can be displayed at the top or bottom of your site. The premium add-ons allow you to add in-content forms, sidebar panels, and full screen overlay pop-ups to your site. There is also a pack of 17 form templates available as a free add-on for Icegram. The pop-up settings are detailed, allowing you to choose where each of them are displayed on your site. You can also easily add custom content to each of the pop-ups using the WordPress editor. With the free version, the only trigger on offer is a time delay. However, there are add-ons for bringing exit intent and page scroll based triggers to your site. Split testing of your pop-ups can also be carried out by installing the appropriate premium add-on. Icegram is a pretty well specified free pop-up plugin, which can be upgraded on a feature by feature basis. SumoMe is a free suite of hosted tools that has been created to help you drive more traffic to your website and grow your email subscriber list. The Scroll Box and List Builder options are two of the tools in the collection that fall into the pop-up category. The List Builder tool displays a mobile-responsive pop-up email opt-in form on your site, while the Scroll Box option displays a slide-in email opt-in form. The latter is triggered when the visitor reaches the bottom, or a custom point on a page. The look of both forms can be highly customized, and they can integrate with a wide array of email list management services. It’s worth pointing out that SumoMe does add some branding to the front end of your website. However, upgrading to the premium version removes this, and gives you access to more advanced features. This includes A/B testing, custom designed templates, and advanced display rules. If you want a collection of free tools for maximizing the potential of your website, then SumoMe could be a good option. PopupAlly has been created to help you grow your email subscriber list. The plugin comes in both free and premium versions, with the latter costing $97. With the free version of PopupAlly you are able to create two pop-up windows for use on your site. This pop-up window then displays an opt-in form for your email list. You also get the option of embedding the forms into your post content. The free version includes two form templates for styling the appearance of the pop-up window. Both options look professional enough and their colors, background image, and content can all be customized. Upgrading to the premium version gives you access to additional templates and more customization options. The pop-up settings of the plugin deliver a lot of control over which posts and pages of your site the forms are active on. You can also chose to direct your visitors to a specific page on your site after they’ve completed the opt-in form. This feature could be used to reward your new subscribers with a download, or perhaps display links to your social media profiles. One nice feature of the free version of PopupAlly, that is not seen often with non-premium plugins of this type, is the ability to use an exit intent to trigger to only display your pop-up when the visitor is about to leave your site. This can greatly reduce the annoyance factor of your pop-ups. The premium version includes more triggers, including on-click and scrolling activation of your forms. Further features of the premium version include the ability to create multiple pop-ups, display forms in the header and footer of your site, and create video pop-ups. With the pro version, the options for customizing your forms are greatly increased. Both versions support the main email marketing services, including AWeber, MailChimp, GetResponse, and Infusionsoft. If you are looking for a free pop-up form plugin that includes the exit intent trigger, then PopupAlly is a good option. Pop-Up CC is available as a free plugin, with a six email opt-in form templates to choose from. Each of the templates can be personalized using the WordPress Customizer tool. The pop-up form settings allow you to determine on which pages on your site the forms will be displayed. The forms can be set to load after a certain amount of seconds have elapsed, once the page has loaded. Other options include enabling or disabling the forms for mobile devices, as well as setting how often to show the forms to the same visitor. While the free version only has the ability to forward collected emails to your inbox, the premium version integrates with a handful of email marketing services. This includes MailChimp and GetResponse. There are also free and premium variations of this plugin available. These alternative versions include an exit intent trigger and scroll trigger pop-up activation, instead of the time delay. If those features are important to you, then those plugins are worth seeking out. The free version of Pop-Up CC is a basic tool, but it does include a nice admin interface and attractive form designs. Support for the WordPress Customizer is another notable feature. Let’s start with out PopUp Pro plugin, which gives you the ability to create multiple pop-ups and pop-overs on your WordPress website. Each of the pop-up windows you create can contain custom content of your choosing. This could include text, images, or anything else that you might want to add to your pop-up display. When creating the content for your pop-up window, you can make full use of the WordPress visual and HTML editors. This allows you to easily format your text, insert images, and do lots more. There are also a few different styles which can be used to quickly alter the appearance of each pop-up window. When it comes to controlling when your pop-ups should be launched, PopUp Pro gives you access to advanced triggers that will determine when your message is displayed. This includes exit intent, time delays, custom scrolling triggers, and when the visitor reaches a specific element on your page. 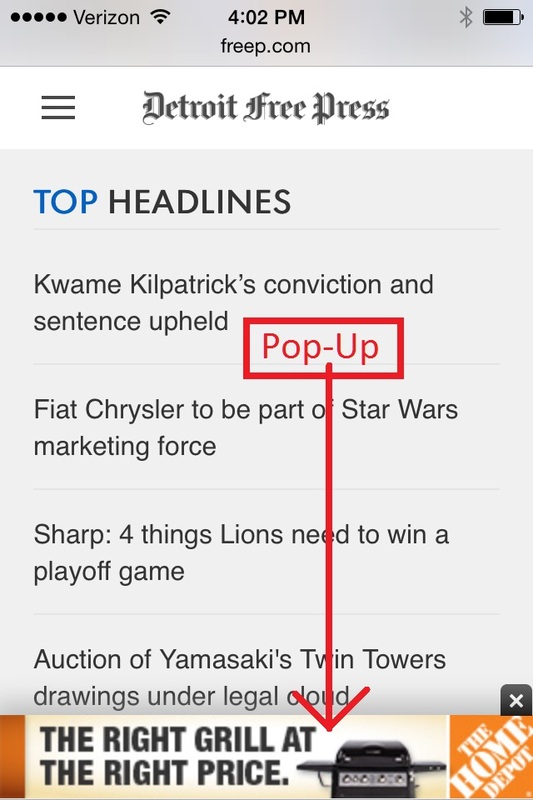 The pop-up behavior settings also make it easy for you to avoid annoying your readers by only showing the window once. Alternatively, you can opt to aggressively promote your offer if you wish. This WordPress plugin gives you access to some detailed controls that determine who should see your pop-ups. This allows you to easily exclude mobile users, visitors who arrive at your site from a search engine or a specific URL, and lots more. You can also hold off from launching the pop-up until a visitors has viewed a certain number of pages on your site. If you want a way to display custom content, such as adverts, offers, links, and pretty much anything else, in pop-up windows on your site, then PopUp Pro and its wealth of features and settings is a very flexible option. OptinMonster is a premium opt-in form builder plugin. The top tier version of the plugin, with all the add-ons enabled, allows you to create a range of different form and pop-up types on your website. These options include a pop-up lightbox window, an in-content form, a floating bar, a slide-in form, a mobile-only form, a sidebar form, and a blank canvas pop-up which can contain any content you like. With OptinMonster, you get a good selection of form templates to choose from. To help make them your own, each of the designs can be fully customized through the intuitive form builder tool. Depending on which license you choose, you may get access to a range of pop-up triggers, including time delay, page scroll distance, and exit intent. One of the key features of OptinMonster, which helps separate it from the free plugins of this type, is its split testing tools. This gives you the ability to compare and test multiple form designs against each other. This will then tell you which one results in the highest sign-up rate amongst your visitors. Other highlights of OptinMonster include multiple animation effects that can be applied to the forms; two-step, click activated pop-up forms; page level targeting; and Google Analytics integration for tracking form conversions. OptinMonster was previously available as a WordPress plugin, but has since moved to a hosted service. This means that all the form creation and management now takes place on the OptinMonster servers, rather than on the admin area of your WordPress website. It also means that the service will run on any website, and not just WordPress. 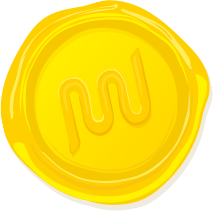 Due to this change, OptinMonster is now also available on a monthly subscription basis. Bloom is a premium pop-up email opt-in form plugin from Elegant Themes. It’s available with all of their premium WordPress themes, as well as their other plugins, as part of the developer package of products. When using Bloom, you get six form types to choose from. This includes the pop-up, fly in, below post, inline, widget, and the locked content form types. The process for creating the forms for your website is straightforward and simply requires you to choose a form type, select an email marketing service integration, pick a form template, customize the design, and configure the display settings. Bloom includes a good selection of form trigger settings, including time delay, an inactivity trigger, scroll depth, and after the user leaves a comment or makes a purchase. However, unlike some of the other premium options, there is no exit intent trigger. With Bloom, you do get a decent amount of control over where on your website, each form is displayed and the forms can easily be disabled for mobile visitors. The plugin dashboard includes a handy stats page that displays the conversion rate of each form. Setting up split testing is easy too, allowing you to compare and optimize your forms to find the highest converting design. Bloom also makes it easy to import and export your form designs between sites. Bloom is a good alternative to OptinMonster. The main differences between the two, apart from pricing, is the presence of a locked content form type with Bloom, and its lack of the exit intent trigger, blank canvas form type, and on-click display of the pop-ups. Thrive Leads is another premium WordPress pop-up plugin, this time from Thrive Themes. Thrive Leads includes all the main form types, including the pop-up lightbox window, a sticky header ribbon, in-content forms, two-step link or button activated pop-ups, slide-in forms, and opt-in widgets. Out of the box, Thrive Leads includes a varied selection of form templates, covering a wide range of uses. However, the plugin gives you access to a drag and drop editor for creating highly personalized form designs for your website. Through the form builder, you can add almost any type of content to your designs. This includes images, videos, buttons, a range of form types and inputs, icons, custom CSS and HTML, and even other content from your blog. All the best form triggers are available to users of Thrive Leads. This includes time delays, page scrolling, on-click, exit intent, and when the end of the page is reached. A selection of animation effects can be applied to your forms to help them catch the attention of your visitors. The display settings of the forms, which covers where on your site each form is active, are also very detailed. Finally Thrive Leads includes an advanced split testing feature. This makes it easy to not only compare your form designs, but also the different form types and form triggers against each other. The plugin has the ability to automatically declare a winner from your testing, ensuring you don’t miss out on any subscribers. If you want the ability to create advanced forms, with full control over how they work, then the wealth of options and settings on offer from Thrive Leads will appeal. As you can see there are plenty of options for adding pop-ups to your WordPress website, including lots of free plugins to choose from. While most of the free plugins covered here do work well, they are mainly focused around one particular feature or use. It’s not until you upgrade to the premium options that you can create a wide range of different pop-ups types for your website, with the ability to configure them to work in exactly the way that you want. The split testing features of the premium options can’t be found in any of the free options. This means if you do want to ensure your pop-ups have the highest converting designs possible for your audience, you will need to choose a premium plugin. Although pop-ups will frustrate some of your users, they can also significantly increase your conversion rates. Whether your goal is to grow your email list, attract more social media followers, or drive additional traffic to a specific page on your website, a well-executed pop-up could make all the difference. What are your thoughts on website pop-ups? Which features do you think are the most important in a plugin of this type? What content to you want to display in a pop-up window? Are there any good plugins we’ve missed off the list? Please let us know in the comments below. Of the plugins listed here I have only experimented with Thrive Leads and Popup Maker. Popup Maker is fantastic value for money. The basic plugin is free. When I started using it I really couldn’t believe how good it was for a free product. It’s really new but it’s very polished. You still have to do a bit of work styling the popups, because they default styles aren’t that great and are unlikely to automatically fit in with your own site. But the rule system for setting when popups appear is very intuitive to anyone with some wordpress experience. I gave Popup Maker a 5-star review in the plugin repository. I’ve only just started using Thrive Leads and I’m pretty impressed with it so far. Great value for money, methinks. I started out with PopUp Pro, moved on to SumoMe and have now found myself using Thrive Leads. I’ve looked at the majority of the tools in your list but for one reason or another didn’t give it a try. I really think what one wants/needs in a popup is very subjective and while some just want an email grabber others won’t be happy without A/B testing, multiple types of popups, and total control of display time, location etc. With that said I was very happy with PopUp Pro but just didn’t feel it was powerful enough for where I wanted to take my site. SumoMe proved to be way too costly with all the different upgrades I would need. So far Thrive is looking good – but the final results aren’t in. Yes it definitely depends what you want from a pop-up and the free ones seem to only be focused on one particular use – which is fair enough. Did you look at OptinMonster and Bloom before choosing ThriveLeads? Social popup is my personal favorite thanks for mentioning my personal favorite over here..
Then someone purchased me the plugin it a few weeks ago but Im not sure if its fully functional yet, hope he can pop in and tell. Time article and thanks such a thorough review. My plan was to add this feature to a website I am making and today was the day to get to work on this. You made my job much easier. Hi Dave. Let us know which one you choose and what you think of it. The effect of pop-ups contains on your audience. Most users of my page are used to these kind of pop-ups and close them without reading. I am on the fence about Thrive, getting ready to purchase and give it a try. I have used OptinMonster extensively. When it works it works great, but on many occasions I find myself fighting with conflicts to get the popup to pop consistently. Have you looked at OptinMonster since its switched to being a hosted service? Might’ve ironed out some of the issues you’ve been having. You find a link to what seems to be interesting external site from the one you viewing. You click; just as you are focusing on the new content … a god-damned pop-up! Nothing is more of an interest killer than an unexpected, unwanted, unneeded and unwanted pop-up. I usually close the page. Nothing of substance is ever contained in a pop-up. That is why there are pop-up blockers (apparently needed for the instant site). On rare occasion, like this one where I wanted to rebuke all pop-up use, I’ll click past those most annoying windows. Otherwise, a disrespecting pop-up is the signal to click on by. If you have something important to bring to the Internaut’s attention, then it is important enough to put it on the page being viewed. If any content or message is a in pop-up, it is superficial, unneeded and unwanted. A pop-up is so adware-ish. You want your site to be famous for delivering the unwanted??? In every user’s face?? Wrong path. One example of particularly poor pop-up planning gives an arriving user the opportunity to rate the site in less than 60 seconds of being there–ridiculous. Many major retail chains are guilty of this faux pas. I’m gone; that site is not intuitive enough to have interest for any thinking person. A well composed and compelling site never resorts advertising gimmicks to engage members nor users. Nor to attract additional business. These are car salesman tactics. If your site/blog has no meat, a hundred pop-ups are not going to help the income stream. Its hard to disagree, but many people do get good results in terms of growing their email list or followers by using pop-ups. I guess its hard to measure how many visitors you annoy and alienate with a pop-up, so its easier to focus on measurable results such as the number of email opt-ins. Great post! I’m personally a massive fan of Thrive Leads! It’s easy, cheap (one time payment) and it just works! It’s hard to find reviews from a customers point-of-view for Thrive Leads but if you want to see what it’s all about here is a long video that outlines everything.